G Hotel Penang had officially launched its latest hip hangout spot, the Tree Bar, located at the al fresco area of the hotel today. 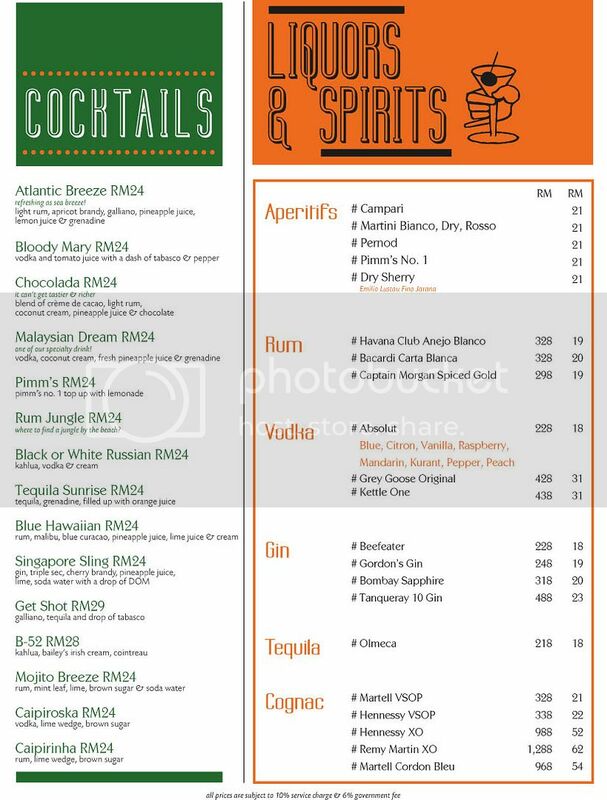 Since its soft opening on 19 June 2014, this bar had been known to be the latest and the coolest hangout spot in Penang, serving the best beers and bites in town. Based on the bar’s slogan “Tree Bar – Not just a tree, it’s a bar”, this wonderful addition of both unpretentious and stress releasing place indeed did prove that they do serve the best beer and bites in town. 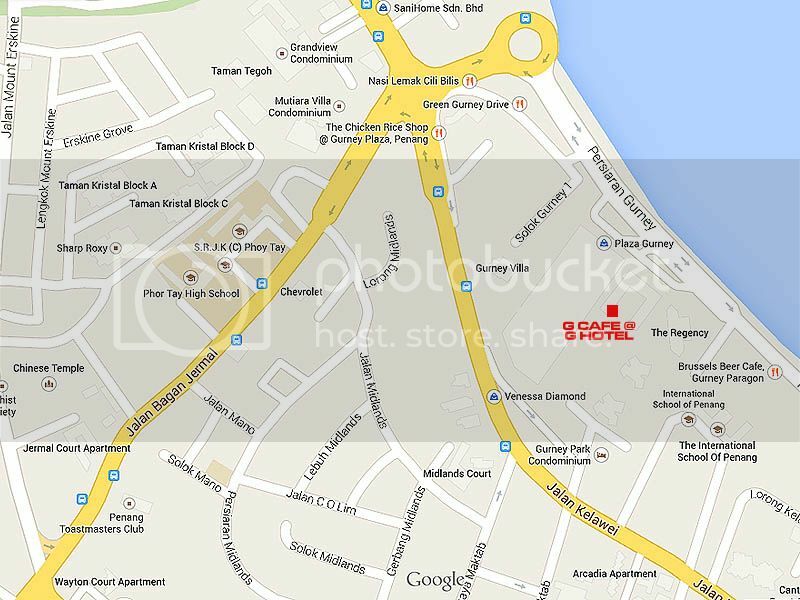 After all, everyone would need a place to chill out after a hectic day without hurting the wallet too much. 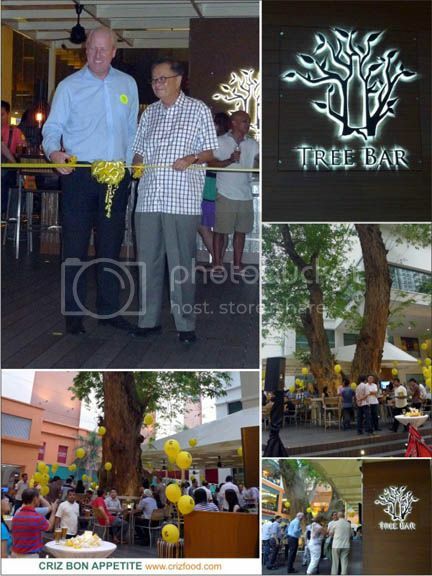 The Tree Bar was officially launched by Mr. Michael Hanratty, General Manager of G Hotel, witnessed by Mr. Phuah Choon Meng, Director of G Hotel. G Hotel did a great deed to Mother Nature by preserving the 80 over years old rain tree of Albizia Saman species and made great use of the surrounding space to build the Tree Bar. The leaves of the tree would fold during rainy weather and in the evening, hence locally known as “Pukul Lima” aka 5 o’clock tree. 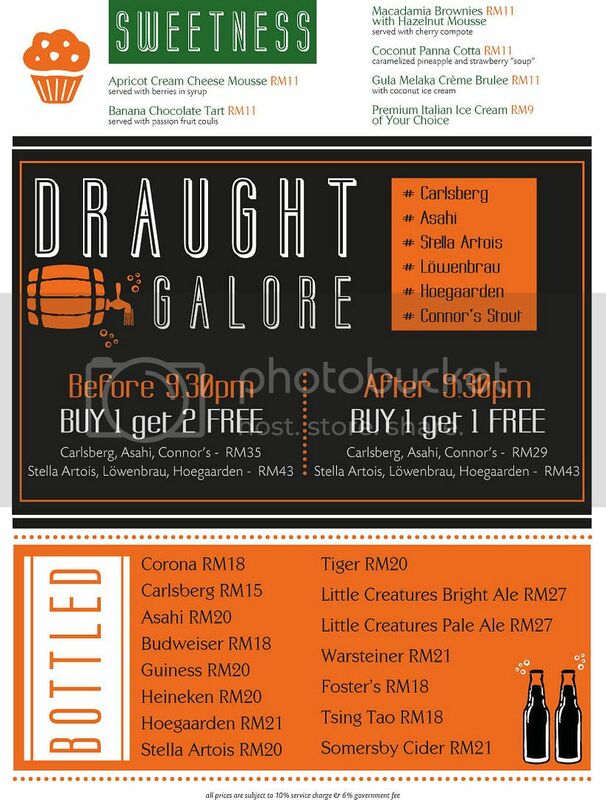 Do check out their daily Happy Hours promotion below for their selected draught beers such as Carlsberg, Asahi, Connor’s, Stella Artois, Lowenbrau and Hoegaarden. They also do have other bottled beers as Tsing Tao, Guiness, Little Creatures Bright Ale and Pale Ale, Warsteiner, Somersby Cider and more for your drinking needs. 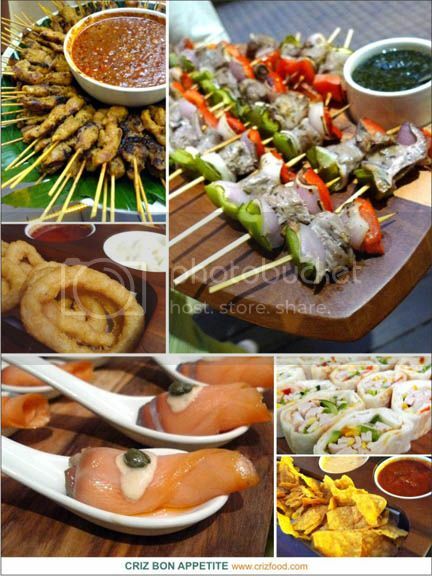 Other than those alcoholic and non alcoholic beverages, customers can enjoy some hot munchies to accompany their sips. There would be bite options such as the nicely marinated with lemon, salt and black pepper, Moroccan Spiced Lamb Skewers. These skewers of goodies were grilled to just the right juicy perfection. Other options may include Garlic Bread, Deep Fried Calamari, Golden Chicken Wings and Smoked Salmon Rolls. For a healthier palate, you can try out their Caesar Salad, Nicoise Salad and Thai Beef Salad. Add-ons such as grilled chicken, seared tuna, smoked salmon or grilled shrimp are also available for a twist in your salad. 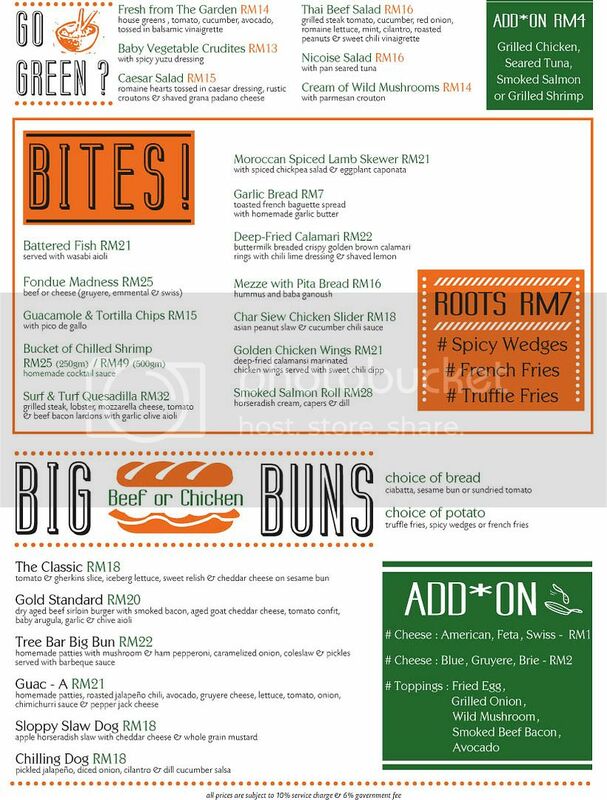 For a heavier meal, there are six choices from the section of ‘Big Buns’ with the option to select from beef or chicken sausage or burger patty. Each style comes with different kind of condiments and a choice of breads. To add to it, pick from a choice of French fries, spicy wedges or truffle fries. A highlight in the menu also is the bucket of chilled shrimp that will definitely be a delight to seafood lovers of which comes with the homemade cocktail sauce. For those sweet tooth diners, you would have a selection of desserts ranging from Macadamia Brownies with Hazelnut Mousse, Coconut Panna Cotta, Apricot Cream Cheese Mousse, Banana Chocolate Tart, Gula Melaka Crème Brulee and Malaysian born Italian ice cream, Gelatomio. We were pampered with a few of their dishes such as the Quesadilla, Nachos, Chicken Satay, Deep Fried Calamari, Smoked Salmon Rolls and Moroccan Spiced Lamb Skewers, served with condiments. They were all so good, especially the Moroccan Spiced Lamb Skewers with mint sauce as condiment. Overall, the Tree Bar do provide a comprehensive arrays of alcoholic and non alcoholic beverages plus nice food ranging from finger food to hearty bites of the succulent burgers. I do find the pricing quite reasonable too. 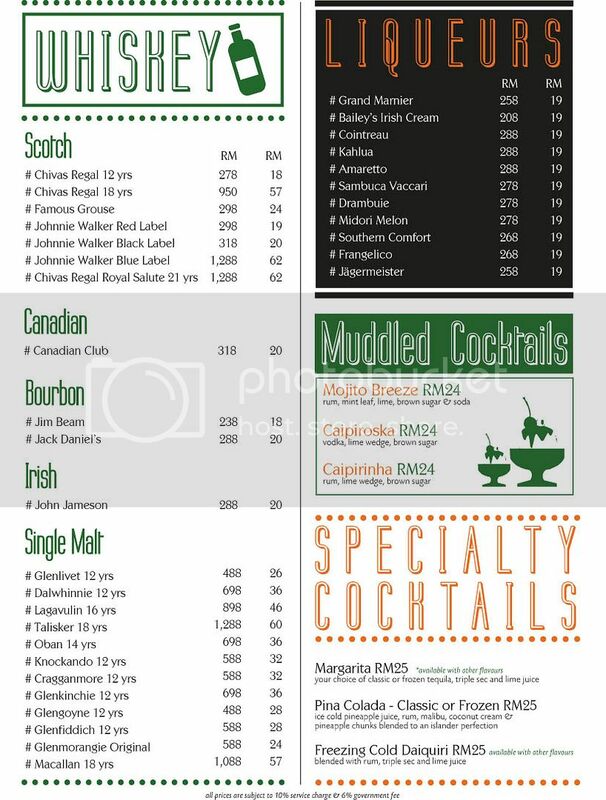 For more information on the spread, do click and enlarge the menus below. 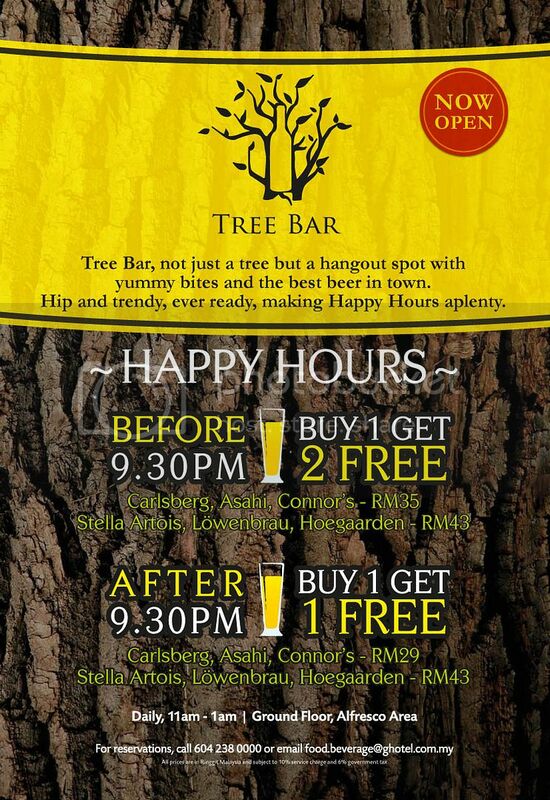 The Tree Bar is located at the al fresco area of G Hotel. 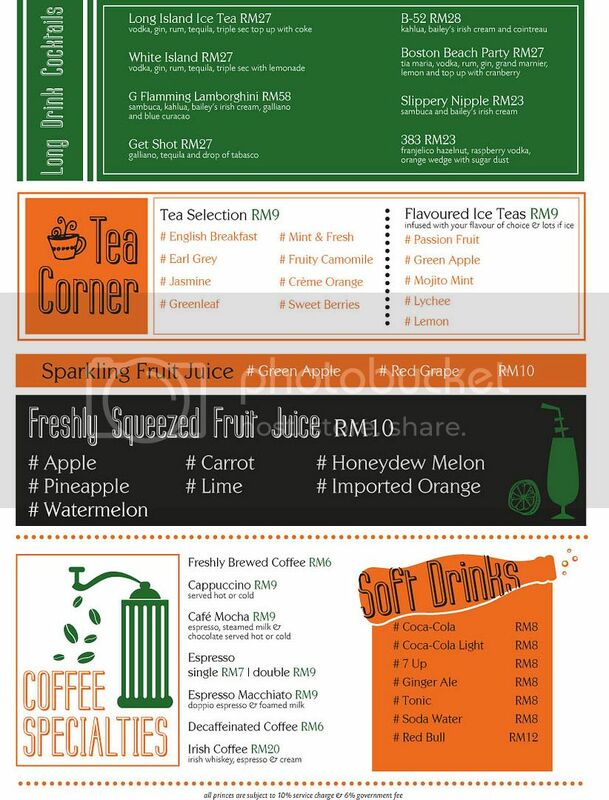 If you walk in through the front entrance along Persiaran Gurney, just head towards the end of the building and you will see the little bar area right under the tree, next to the al fresco area of G Café.